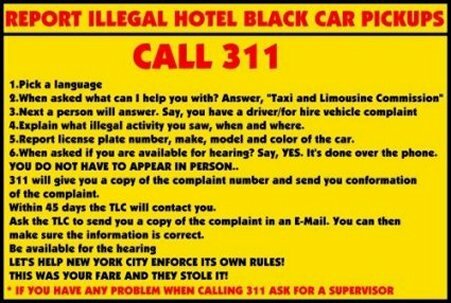 April 6th, 2017 - Mandatory 'Economic Review' of NYC's Taxi Fare by TLC !!! DO NOT LOWER TAXI DRIVER STANDARDS !! LET LEGAL TAXI DRIVERS EARN A LIVING 'WAGE' !! SUPPORT THE FARE INCREASE PROPOSAL !! WITH QUALITY, CAREER DRIVERS !!! I feel the following new rate-of-fare structure should be implemented. cost-of-living expenses that have risen for New York City yellow cab drivers. This NEW fare increase will also greatly improve the current taxi driver shortage !! Due to the new 'Vision Zero' rules, the City's speed limit has been reduced from 30 MPH to 25 MPH. i.e. change the existing waiting time of $30.00 per hour to approx. $36.00 per hour. include all 'partial' minutes that add up to FULL minutes of stopped or slow traffic. DRASTICALLY AFFECTS TAXI DRIVER & PASSENGER SAFETY !! We should return to the metered rate for ALL fares within the borders of New York City. The 'security' advantages of the JFK 'Flat Rate' are now obsolete due to the advent of new GPS & trip sheet technology. taxi driver earnings & passenger expenses . The metered rolling time should be raised from fifty cents (.50) per 1/5 mile to fifty cents (.50) per 1/6 mile. This 'drop' should always be equal to NYC-MTA fares - and should be kept low to incentivize ridership. The metered fare shall allow two (2) passenger stops. Any fare continuing on after the second stop shall allow the driver to completely reset the meter. The fare shall be the standard New York City rate, with an initial 'drop' charge of $25.00 - plus any tolls. The fare shall ALSO be the standard New York City rate, with an initial 'drop' charge of $25.00 - plus any tolls. with legitimate taxi dispatching personnel. should also have this option for drivers and passengers. that NEED IMMEDIATE YELLOW CABS !! Madison Square Garden, Arthur Ashe Stadium, JFK, LGA... HELLO ?!?! from passengers for ALL trips over $20.00. of the new fare increase between taxi owners & drivers. Driver retention, quality vehicles and public safety depend on it !! Re: We need a TAXI Fare Increase !!! We need you @ TLC Commission. Meera Joshi has failed. Time for a new commissioner who actually KNOWS what he/she is doing. Re: REAL Taxi Drivers Deserve A 'Cost Of Living' FARE Increase !!! Time to RE-revisit the NYC taxi rate of fare for the drivers !! to ensure the economic viability of the drivers !! It... is... in... THEIR... rules !!! Oh - and put the taxi rates back on the side of the door, please !!! True 'genius' at work.... NOT !! And get rid of that DOPEY... FLAT RATE ?!?! - for fifty bucks ?!?! 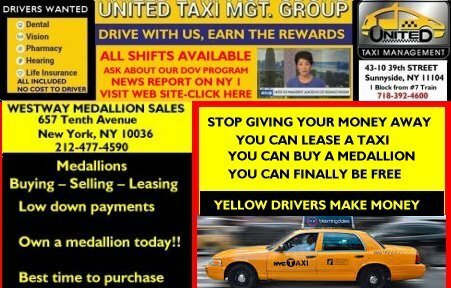 Re: April 6th, 2017 - Mandatory 'Economic Review' of NYC's Taxi Fare by TLC !!! This was my fare increase suggestion(s) TWO YEARS AGO !! 'We don't want a fare increase' ?!?! A) If you DON'T / NEVER drove a cab..
B) YOU DON'T KNOW WHAT THE F___ YOU'RE TALKING ABOUT !!! ..and do it LOUDLY !! !